If you’re looking to buy or sell a new home, some real estate markets have recovered better than others. Recently, CNN Money ranked their top five markets for buyers, and two Carolina real estate markets made the list. Coming in at number one was southern South Carolina, which includes towns such as Beaufort, Hilton Head Island and Charleston. Currently, homes are averaging 156 days on the market and being listed at $269,900. This means that buyers have a longer time to shop around for their perfect home, although they shouldn’t expect great deals to stay on the market as long. 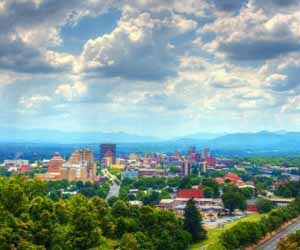 The Asheville market makes the list at number four with 146 days on the market on average and a median listing price of $249,900. Housing here still remains inexpensive especially considering that the city consistently ranks as a top place to live. However, those looking to buy will find that inventory has dropped significantly over the past few years. For the full list from CNN Money, click here. This entry was posted in Beaufort new homes, Charleston new homes, Featured, North Carolina, South Carolina and tagged Asheville, Beaufort, Charleston real estate, CNN Money on April 15, 2013 by Carol Morgan. Congratulations to PEC Development’s Overlook at Battery Creek for winning the 2007’s Best in American Living Award for the up to 150 new homes category. The award was presented by Professional Builder magazine and the National Association of Home Builders Design Committee and is a great honor in the building industry. Overlook at Battery Creek is located in Beaufort, South Carolina along the creek and is a traditional, classic home community with lots of outdoor living spaces. The community takes pride in calling itself a “nature preserve” with marsh-front as well as lagoon-front homesites. The amenities in Overlook include a community center, pool, summer kitchen, a dock, parks and walking trails. The Overlook was deserving of this award for being a unique, eco-friendly community inside the charming town of Beaufort. This entry was posted in Beaufort new homes, New Home News, South Carolina and tagged Battery Creek, Beaufort, Beaufort new homes, Best in American Living, Carolina real estate, eco-friendly, new homes, outdoor living spaces, Overlook, PEC Development, South Carolina on July 15, 2008 by Carol Morgan.